Low voltage garden lights are one of the most affordable outdoor lighting solutions that are available in the market today. They are a lot dimmer than ordinary light bulbs and usually operates around 12 to 14 volts. It is the perfect solution for your outdoor lighting needs to give your outdoor space or your garden a relaxing ambiance and improve your yards appearance. 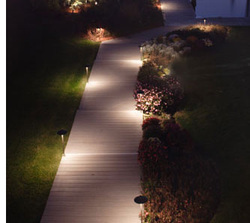 The use of low voltage lights is a practical choice for outdoor lighting since it is affordable. 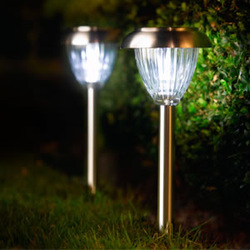 You can then light up your garden at a fraction of the cost of traditional electrical garden lights. These lights come in a lot of different sizes, shapes, forms, design and function. Lights that are produced are not glaring but are bright enough to light up pathways. It is perfect for creating an ambiance for relaxation in your garden. Click below to watch a video on lights. 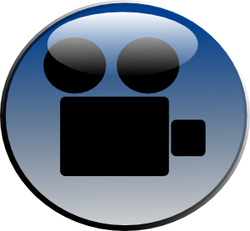 We are the professionals referred to in the video. Let us help you be the envy of your neighborhood.